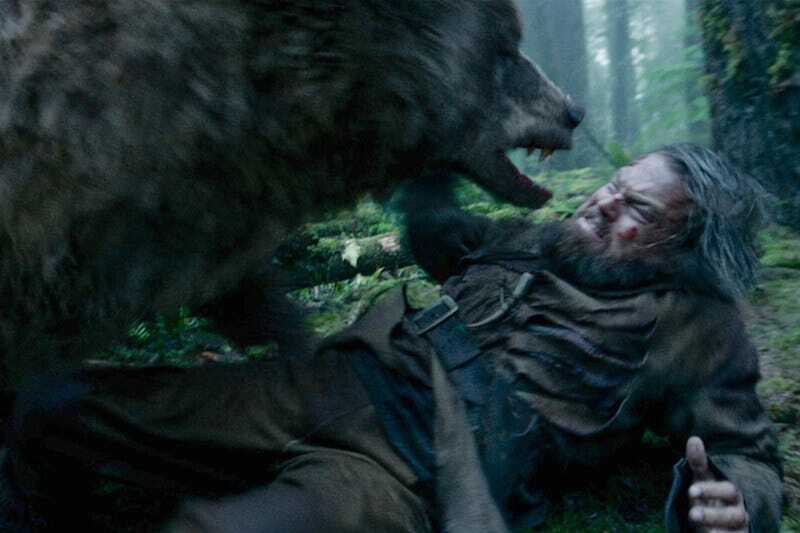 Oscar-nominated but not Oscar-winning actor Leonardo DiCaprio did a cool job in his fight scene with a rather under-appreciated bear in The Revenant. Leo and director Alejandro G. Iñárritu once again explained the logistics behind that scene in a recent interview. Iñárritu still won’t go into detail about how the scene was shot (“It would ruin the experience,” he says). But there was no stunt double and the director says, “Every trick available in cinema was used here.” Most important, he commended the star of the scene for a job well done. “The bear was an incredible actor, by the way,” says Iñárritu. Whoa. About time.